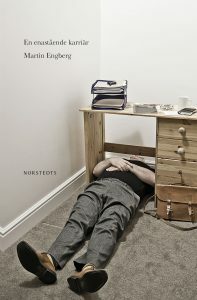 Martin Engberg was born in 1974 and studied creative writing at the University of Gothenburg. Since 2005 he has worked for Ord & Bild, the oldest culture magazine still in print in Sweden, of which he was chief editor from 2010 to 2014. He is also one of the founders of the literary magazine jmm. He now lives in Gothenburg with his family.